As always I'm going to nail my colors to the mast straight off. Bob Clouse is the man. Even his minor work in the '70s and '80s is entertaining. Say what you want about GYMKATA (1985), it certainly hasn't slipped into obscurity. GOLDEN NEEDLES (1974) and FORCE: FIVE (1981) are never going to compete for popularity with ENTER THE DRAGON (1973), but they are still great fun. His post-apocalypse film THE ULTIMATE WARRIOR (1975) was without question the basis for MAD MAX 2: THE ROAD WARRIOR (1981). He contributed to the '70s killer canine subgenre of the nature-gone-amok subgenre with THE PACK (1977) which is one of the best examples of it's type. 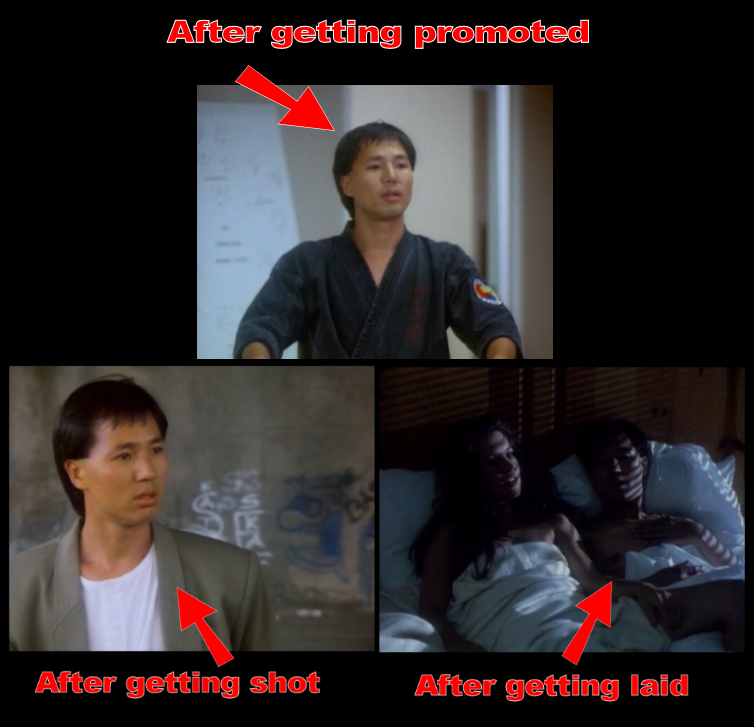 Sure there was GAME OF DEATH (1978), but look at what he had to work with. An unfinished film and no budget. Besides, I can't even begin to imagine how difficult it must have been to try to break into the film industry, much less become successful when you are completely deaf. Even so, GAME is not the low point of his career. IRONHEART is his last film and unfortunately it is without question his worst. 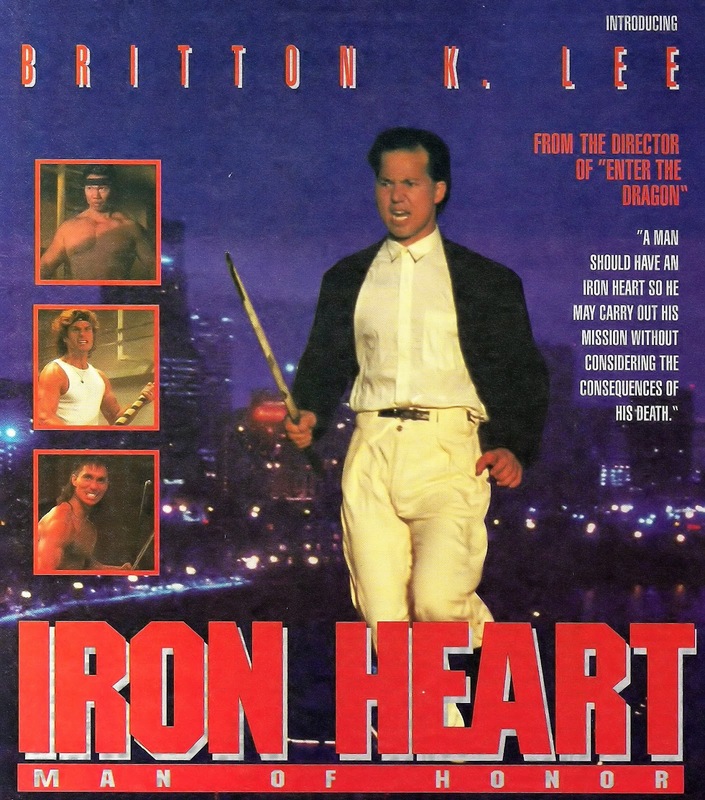 A rich businessman, Milverstead (Richard Norton) and his henchman Ice (Bolo Yeung), are operating a white slave ring by having hot girls picked up by pretty dudes in his club in order to kidnap them and shoot them up with smack. Why is he wasting his money injecting them with heroin when he keeps them locked up in the hold of a ship where they can't escape? Apparently, it for the same reason that Donald Trump digs firing people; just for the sadistic pleasure of it. A newly promoted cop, John (Britton K. Lee), is on the case looking for the missing girl. Not very hard mind you as he is the absolute worst detective in the history of motion pictures. How bad is he? Let me tell you. One day while tooling around in his red Porsche he sees a female jogger being attacked by a group of pot smokin' trash. After watching her get torn apart and screaming for help for a while, he presumably realizes that this situation will not resolve itself peacefully and slowly walks down the hill to confront the thugs who even though armed, don't bother to actually shoot him and proceed to get their asses kicked one at at time. In another scene he and his new way-too-hot-for-him girlfriend (Karman Kruschke) are attacked by Milverstead's goons causing her car to be rendered inoperable. John decides that the car can't be left where it is because Milverstead would be able to trace the car back to her and, presumably, find out where she lives. He is a newly promoted cop so his solution is to have it towed away for being illegally parked. Just kidding. No, his solution is to pull out his sidearm, shoot a hole in the gas tank and then shoot the leaking gas causing the car to explode in a giant ball of flame and burn in the middle of the street. Makes perfect sense, aside from the fact that he just violated about 20 laws and ordinances. The fight scenes are sadly few and far between and shockingly, none of them feature Norton. In Bolo's first of two fight scenes he makes a big display out of slowly taking off his jacket, slowly pulling out a headband, slowly tying the headband around his head, then punching the guy twice, backing off and shooting him with a submachine gun. Why even bother taking off your jacket for that? 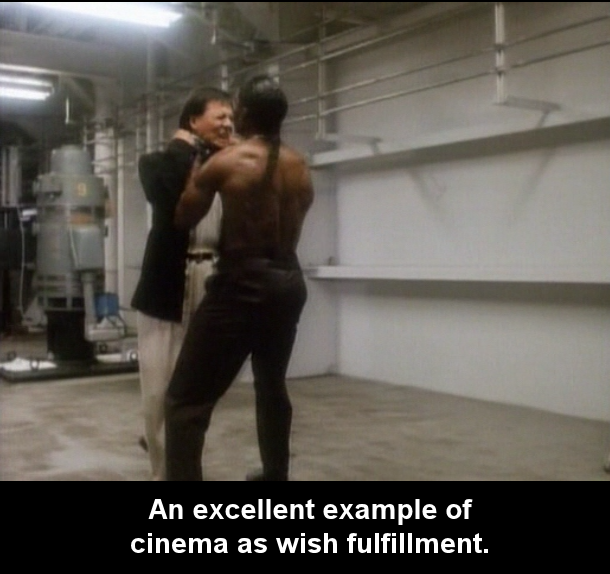 There are a few longer fight scenes at the end, sadly they suffer from a cropped image and heavy handed editing. Even worse there is clearly some graphic violence that has been cut to receive an R-rating. The tell-tale sign of foleyed sound effects for images that aren't on screen (such as the sound of blood squirting) indicate some heavy editing. Actually the movie wouldn't be so bad if it had less padding and more fighting. Without the fighting we are left with Lee's acting and it is atrocious. The man has one expression for everything and it's usually reserved for something with a hook in it's mouth. This may be due to the fact that it appears that he his reading his lines phonetically off of cue cards. I guess there's a reason he never appeared in anything else. Even his haircut makes him look like a dork. Unfortunately in his later years Clouse suffered from kidney disease and ultimately led to his death five years after this film was made. I can only assume that the debilitating effects of dialysis and medication made it difficult to direct a low-budget movie, to say the least. Sadly, it really shows with unimaginably long sequences of padding, including a five-minute long opening scene of people enthusiastically dancing in a club to a cheesy hip-hop song. The second unit director must have shot hours of this footage and it is used and abused to the point where it makes up probably a third of the film's running time. Add to that a staggering amount of footage of people walking, driving, shooting pool, exercising and sometimes, just to break up the monotony, there is some terrible, droning voice-over work to advance the whisp of a plot.